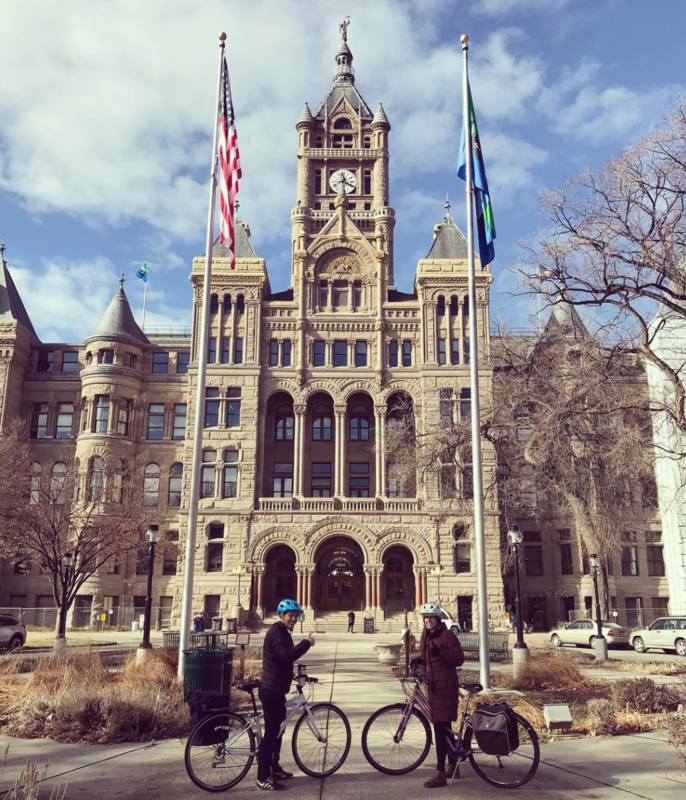 Salt Lake City Corp. ramped up our game in 2018 for the Clear the Air Challenge. As Utah’s capital city, we understand how important it is to “walk our talk” on air quality and reducing our own emissions. The Challenge is a fun way to engage employees on commuting behaviors and to bring more awareness to the power and choices we all have to make a difference. This year SLC ran an “internal bracket” between departments for four weeks. We paired each of our 16 departments against another to see who won based on different metrics each week (trips saved per capita, total trips saved, most improved, etc). 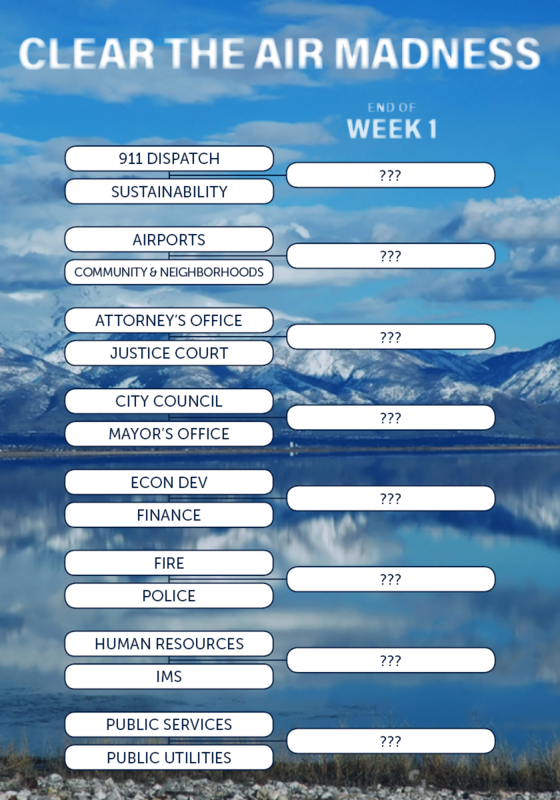 There were no departments eliminated in the bracket, but the department with the most “wins” received the Mayor’s Clear the Air Challenge Cup. Participating employees from the winning department also received a lunch gift certificate from the Mayor’s Office. Used each week as a chance to beat another department. Weekly updates in our intra department newsletter. The Clear the Air Challenge works however you can make it fun and competitive for your organization. We can’t wait to see what more we can do next year! http://cleartheairchallenge.org/wp-content/uploads/SLC-Corp-CTAC-CCBuilding.png 1184 1016 Marisa Bomis http://cleartheairchallenge.org/wp-content/uploads/2017_CTAC_LOGO_Still-01.png Marisa Bomis2018-03-09 19:56:382018-03-09 19:58:252018 Team Story: Salt Lake City Corp.
Culinary Crafts loved participating in the Clear the Air Challenge this year! We’ve participated for the past 3 years, but 2018 was our best yet! When you cater for thousands of people each year, you see the environmental impact of large-scale events up-close and personal. That’s why our goal is always to make our carbon footprint as small as possible. We embraced that goal in this years challenge! We put fliers to remind our staff to log their trips all over the office (including the bathrooms). We also had a milk and cookies kick-off event where our employees ate car shaped cookies. We even put a bike in our front office for employees to use instead of driving! 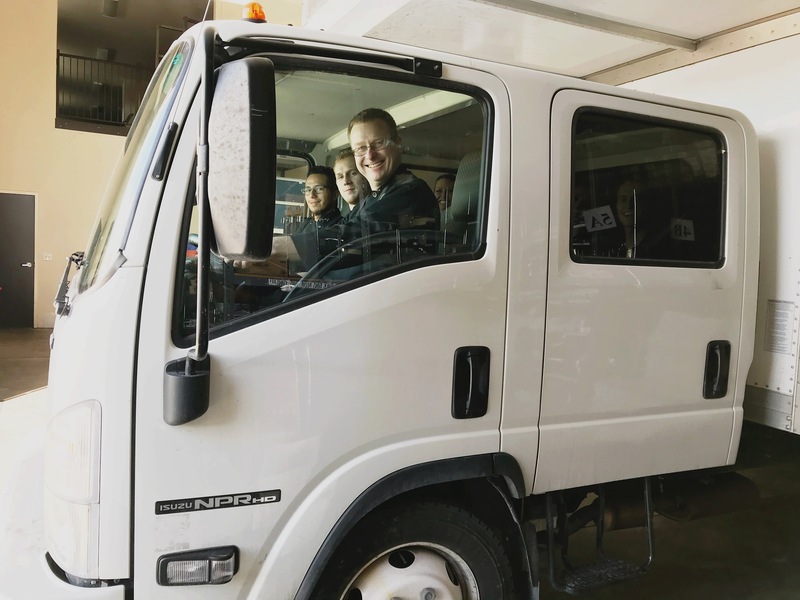 Our favorite way to reduce emissions (and something we rocked at during this year’s challenge) is van-pooling! Culinary Crafts offers bonuses to team members who van-pool, but that’s not why we do it. 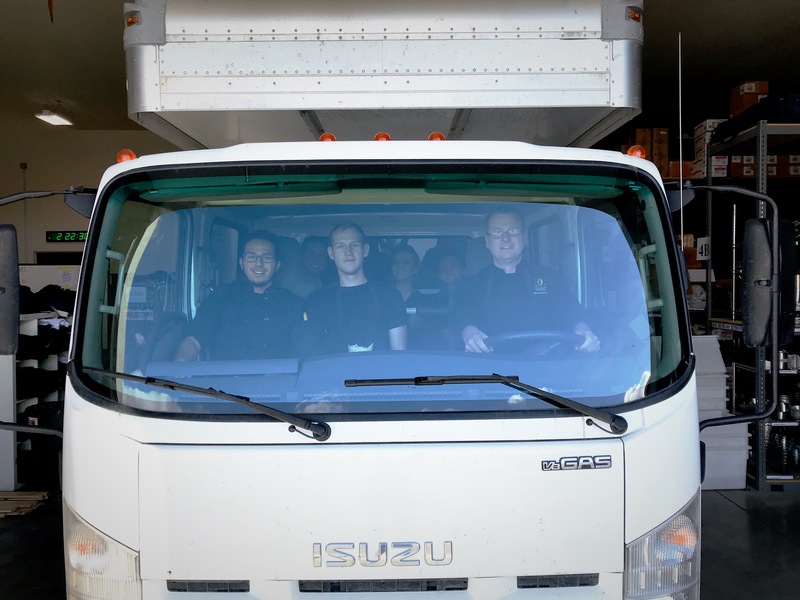 Not only does van-pooling help the environment, it also builds team relationships. Those van rides are a highlight of the job! Culinary Craft’s efforts to improve air quality in Utah are ongoing. We will continue to do our best for Utah and are already looking forward to next year’s challenge! 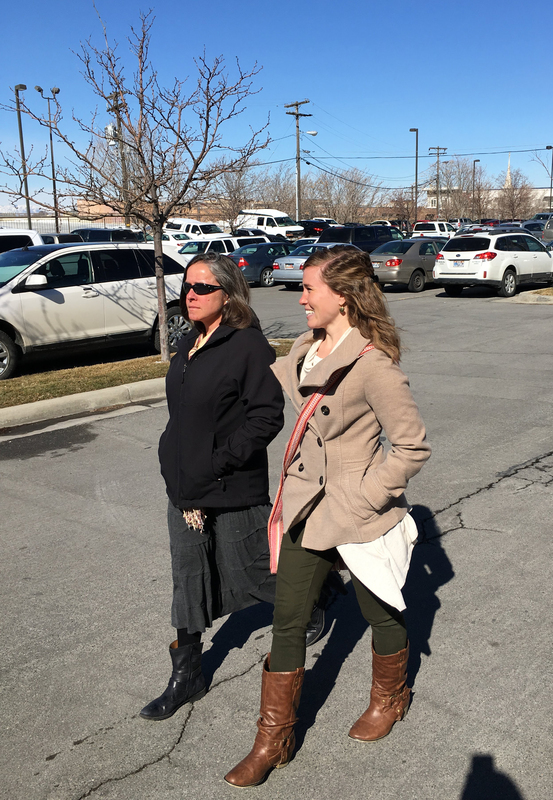 Walking meetings and walking breaks are a big part of the Weber-Morgan Health Department‘s Worksites Empowered project to encourage local businesses and agencies to implement worksite wellness programs. Our health promotion employees try to embody the concepts they teach as they walk to meet with community partners or plan for their upcoming workshops. In bad weather, they carpool and others skipped a trip to try out some of the in-office workout techniques rather than going off site to the gym. Interested in learning more about the Worksites Empowered Project? Join the Weber-Morgan Health Department for a lunch and learn on March 22. To register or more information: Click Here. Cost is $15 and includes lunch and a walking tour of actual healthy worksite ideas. Presentations will be focused on resources available in Weber County but HR and Wellness professionals from anywhere are invited to attend.